If you go out and don’t have hearing protection for shooting you are just being stupid. You are going to hurt you hearing, plain and simple. Foam ear plugs are cheap and they work well. I just don’t like in your ear type hearing protection because I can’t hear what people were saying when we weren’t shooting. I am a fan of over the head ear muffs. With the electronic ones you can hear what is going on around you, though I usually end up propping them up on my head when we aren’t shooting. 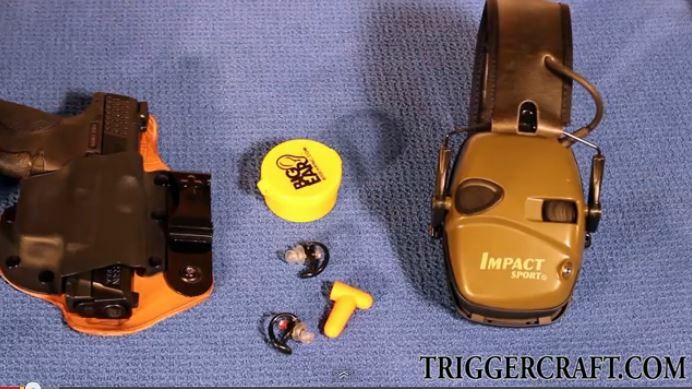 One good point mentioned in the video below is to wear both in the ear and ear muffs when shooting indoors. The sound is much more intense. Check out the video and let us know in the comments what you use for hearing protection for shooting.